As today we have remembered the young soldiers killed in WWI, it is a good time to reflect on the realities and legacies of war. For decades, Anzac day has been about commemorating the heroic lives sacrificed for our nation. Yet the emphasis of the Anzac legend on the sacrifice and bravery of our soldiers has tended to override narratives of the horrors of war that haunt surviving soldiers, their families and communities for decades after the conflict is over. As the Australian government is set to spend $140 million on the Centenary of WW1, a number of critics have questioned the priorities of government spending on Anzac commemorations as funding cuts are set to be made in almost every other public sector in the upcoming budget. James Brown, a former Australian military officer who served in both Iraq and Afghanistan and author of the book Anzac’s Long Shadow, commented that the government is spending three times the amount on Anzac commemorations than the amount made available to support recently returned soldiers struggling with mental health issues, who are often left to fend for themselves. 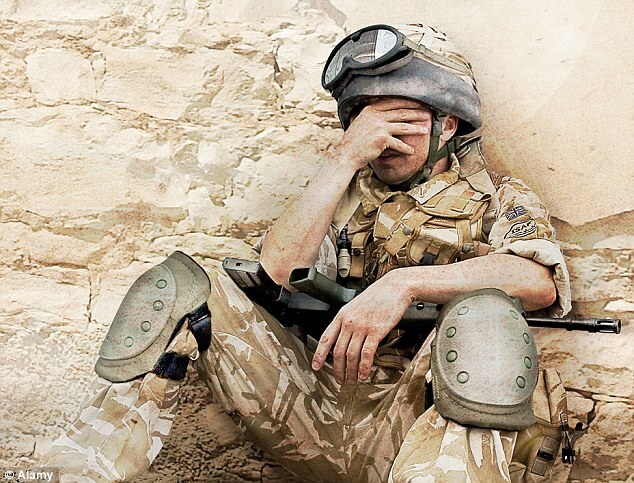 The money spent on Anzac commemorations could be better directed towards much needed medical and rehabilitation services for returned soldiers who often experience post-traumatic stress disorder and social isolation, contributing to high rates of suicide amongst war veterans. It is also possible that the promotion of Anzac Day as a symbol of our national identity may contribute to a glorification of war in the minds of younger generations. Author and journalist Paul Dayley points out that it is important to build awareness of the realities of the battlefield and the physical and psychological legacies of war experienced by those who survive. Building a culture of peace and an opposition to war in Australia begins with the stories we tell our children. Singer-songwriter John Schumann has converted his anti-Vietnam War song ‘I Was Only Nineteen’ into a children’s picture book illustrated by Craig Smith. The book portrays a Vietnam War veteran telling his story to his grandson, including the flashbacks and ill health after returning home. This story may help younger generations contemplate more deeply the lasting impacts and consequences of war. Peace organisations MAPW (Medical Association for Prevention of War) and Act for Peace, who also recognise the importance of young Australians developing a critical understanding of war, have commissioned the History Teachers Association of Victoria to develop of set of history lesson plans to coincide with the centenary of WWI. 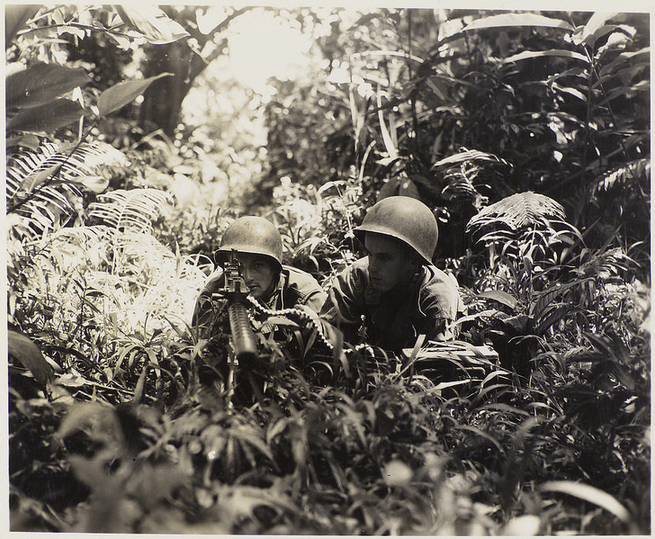 These lessons will equip secondary school teachers and students with the resources to critically examine the long-term legacies of war for surviving soldiers, civilians and the greater community. The lesson plans are developed from the perspective of war veterans and medical professionals to raise students’ awareness of the physical and psychological costs of war – perspectives that are often marginalized by the emphasis on national pride portrayed in the Anzac legend. 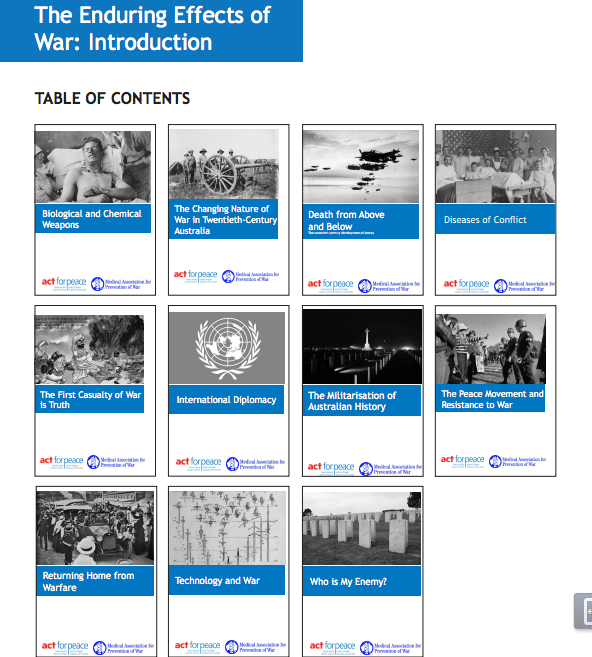 This excellent multimedia lesson plan series on the Enduring Effects of War is available for download here. SafeGround is an Australian humanitarian organisation that works to minimise the impacts and legacies of war. Our projects focus on raising public awareness of the impact of war through community involvement both in Australia and overseas. 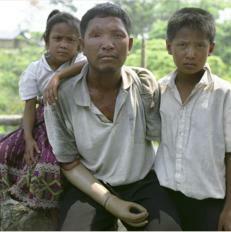 SafeGround advocates the eradication of indiscriminate legacy weapons such as landmines, cluster bombs and nuclear weapons that continue to maim and kill civilians long after the fighting of a war has ended. While our focus is on reducing the explosive remnants of war in affected communities, we recognise and wish to acknowledge the psychological and physical legacies that impact upon our own soldiers from past and present wars.